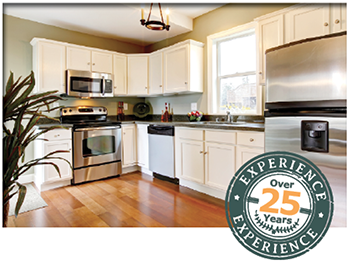 Kitchen design, installation & upgrades. Old Kitchens Stripped Out & Removed. New wiring / plumbing fitted where required. 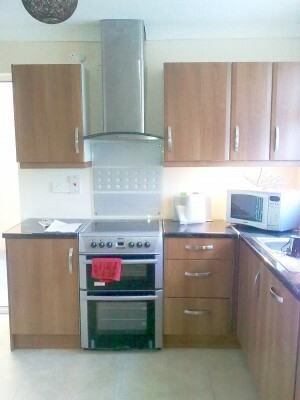 New kitchens supplied and fitted to highest standards. 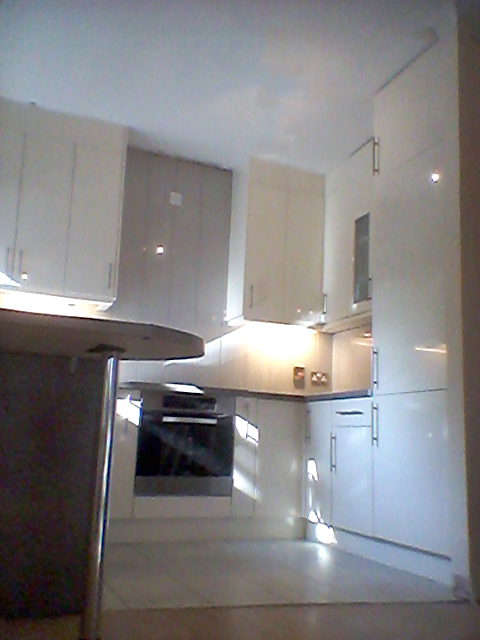 Fitting new doors to units and new worktops. 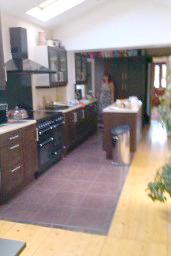 Kitchen walls and floors tiled in customers choice if required. Guidelines for fitted kitchen upgrades. Please be advised that fitted kitchen upgrade renovations are only possible where all units are in the metric measurement ranges. Doors for 1000 units measured at 495mm width and 715mm in height. Measure unit height and widths to asses the suitability of upgrade and factor in any end panels or coloured panels. In older properties it is advisable to retro fit walls with 18mm plywood sheeting before any installion as old porous walls are often insufficient to obtain suitable grounds for support brackets. Older properties are often still fitted with lead pipe works and waste fittings in imperial measurements. These are best removed totally before new units fitted.